The first line of business is to explain a little more about Bitcoin. Realtor Mag Online did a nice job summarizing the topic. Bitcoin is a form of digital currency, but there are nothing minted in the physical form. Instead, transactions are recorded online in long chains of transactions called a blockchain. This online ledger grows longer each hour as more and more transactions take place. Each Bitcoin has a private and public keys, which are a string of numbers and letter linked via a complex mathematical algorithm. As you can imagine, this form of currency is both secure and anonymous. Bitcoins are limited in number, growing each year as more of them are mined. There are online exchanges for trading Bitcoins, and you keep them in digital wallets. It should be noted that there are other cryptocurrencies, but Bitcoin is the most famous at this point. All this currency is unregulated, which many people fear will backfire to cause its eventual downfall. What is so attractive about Bitcoin to the real estate industry? For one thing, it seems that many people believe the number of steps it takes to buy a condo or home can be reduced dramatically. Inc Magazine has a good article explaining how this might work. Right now, when you purchase a property, you have to write up a contract, deposit earnest funds into escrow, and have a title company work on the behalf of the parties to bring the transaction to a close. Closing is where both parties spend a lot of time at the title company office signing the many documents required to make the property sale official. Bitcoin can change all of this since documents can be stored electronically. For example, smart contracts can be stored digitally and only release the Bitcoins when all the conditions are met. 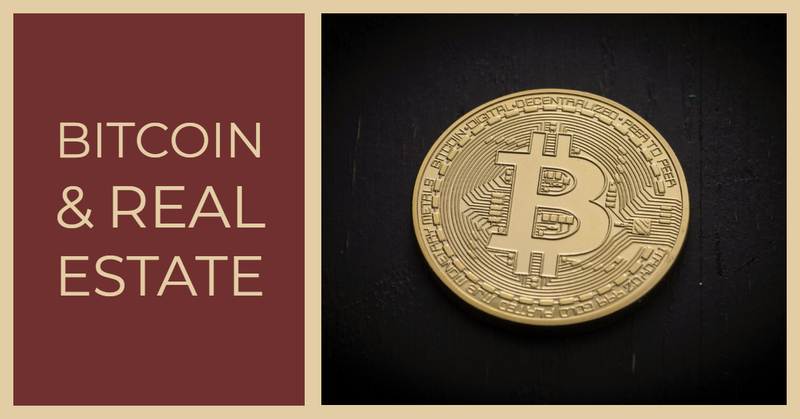 Allied Title and Escrow LLC further explains how cryptocurrencies might take on some of the roles Title currently plays for buyers and sellers. Cryptocurrency technology could possibly store property histories and credit histories via buyer and seller profiles. Today, titles are stored as paper documents so moving it to the digital realm could help eliminate fraud considerably. An online record of clean property ownership will greatly reduce the time it takes to do title searches, which are required now to check current ownership status of a property. All in all, the entire time it takes to purchase a property could be reduced tenfold if the theory holds up. If Bitcoin can make the process so much smoother, does this mean that the current players in real estate will be preserved, or will their jobs be eliminated due to the lack of need? Allied Title and Escrow LLC writes in their post that it is doubtful that the human hand will be taken out of the process completely as there are some tricky steps to title process so people will have to stay involved. The post also explores how the unregulated currency could be seen as too much of risk for many buyers and sellers to adopt it. Too much creative financing is not always a good thing if the risk is too high. Yahoo News actually highlights three companies that are already working on implementing solutions for those individuals looking to use cryptocurrencies for real estate transactions. This company claims to have solved the problem of high commission fees charged by real estate agents. They have partnered with brokerages in 150 cities in all 50 states to help move things along when it comes to using cryptocurrency in real estate transactions. Deedcoins agents are paid in Deedcoins, another form of cryptocurrency, versus traditional money. Sellers pay as little as 1% of the homes sales price and then the other 5% is paid out in Deedcoins (1 Deedcoin equals 1% of the value of the home). Deedcoin sees too much unneeded price escalation in the industry today and hope that by using cryptocurrency, the costs can be better controlled by the two parties of the transaction. This company hopes that the decentralized nature of Bitcoin can help with claiming real estate. The platform allows buyers to easily gobble up properties using the company's own form of cryptocurrency. This company also promotes an interesting angle by allowing for trading of properties seamlessly, allowing for a more dramatic and dynamic environment for real estate transactions. This company's aim is to make international real estate more energized. The company hopes by giving international buyers and sellers a common asset transfer store with a common currency (that can be used without worry about rate exchange), international parties will be more prone to participate in real estate in the US. The real estate industry has been late in adopting new technologies. Bitcoin, and other cryptocurrencies, is one technology that has forced many to raise their heads to take notice, because of the dangers it might pose to many in the profession. We have learned that this currency is completely online and unregulated. It is a secure way to help streamline the real estate processes that have been in place for years. Real estate agents are also feeling the heat from the possibility of being pushed from the process altogether. Time will only tell if more people begin to trust this form of creative financing.